Laura Lee is a special young mare that is sired by our two-time AHR ‘National Champion Stallion’ and two-time AHR ‘Stallion of the Year’, Arno van het Nieshof. Laura Lee’s dam is sired by the well-known and gold classified Aristocrat TOF. Laura Lee is light-years ahead of her age in experience as she has already been at youth camp for a week where she was ridden by a junior youth rider in such disciplines as English, and Western and even taken over and through over trail obstacles. 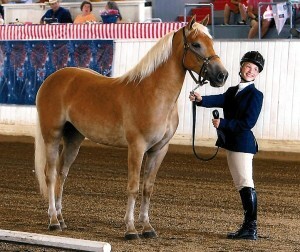 She also attended the 2007 Buckeye Haflinger show and was shown in the Halter, Showmanship and Trail classes by a junior youth exhibitor and placed quite well including 3rd place in both trail and showmanship. 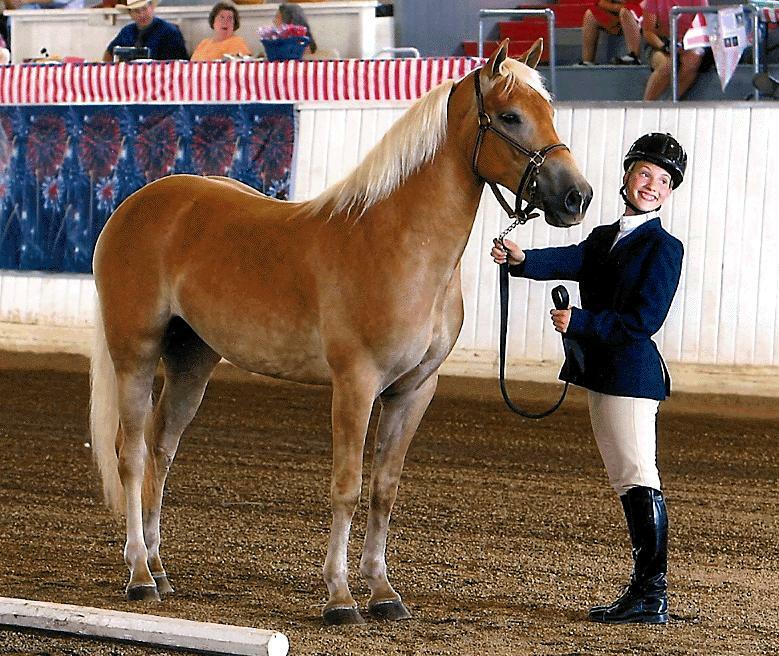 If that is not enough, Laura Lee was ridden at the 2007 AHR National Show by a junior youth rider and earned several ribbons there, including a 2nd place in the walk-trot equitation class! These are some great accomplishments for such a young filly!